건강 보조 식품으로, 하루에 2개의 구미 비타민을 섭취하십시오. 과도한 열이나 습기에 노출되지 않도록 주의하십시오. 건강 상 문제가 있거나 약물 치료 중이거나 임신 중이거나 간호중인 분은 사용하기 전에 자격을 갖춘 의료 전문가의 조언을 구하십시오. 시간이 경과하면 색상이 어둡게 변할 수 있습니다. 제품의 효능은 변하지 않습니다. VetafusionTM 여성의 배지 비타민은 여성의 건강을 지원하기 위해 특별히 제작된 완전한 종합비타민 입니다. 에너지, 신진 대사 및 뼈 건강을 지원합니다. 비타민 A, C, D & E의 우수한 공급원입니다. 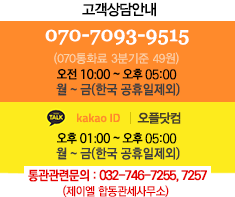 삼키기 힘든 비타민제에 대한 훌륭한 맛과 편리한 대안을 제공합니다. vitafusion™ Women's gummy vitamins provide a complete multivitamin formula that has been specially formulated to support the specific health needs of women. A fusion of essential vitamins, minerals and natural fruit flavors, these great-tasting gummies provide a convenient alternative to hard-to-swallow pills. [Warnings] Take only as directed. Do not exceed suggested dosage. If you have a medical condition, are on medication or are pregnant or nursing, please seek the advise of a qualified health care professional before using. Do not expose to excessive heat or moisture. Natural colors will darken over time but color change does not alter the potency of the product. This product may settle during shipping. [Suggested Use] As a dietary supplement, adults take two (2) gummy vitamins per day. Chew thoroughly before swallowing.